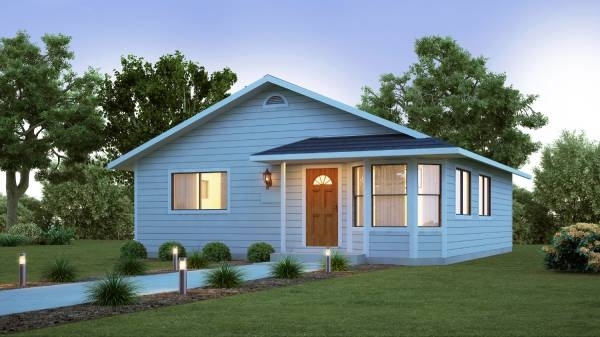 Designed to work well as a mountain retreat or detached in-law unit, the Lake View panelized kit home offers many conveniences normally found in larger homes. 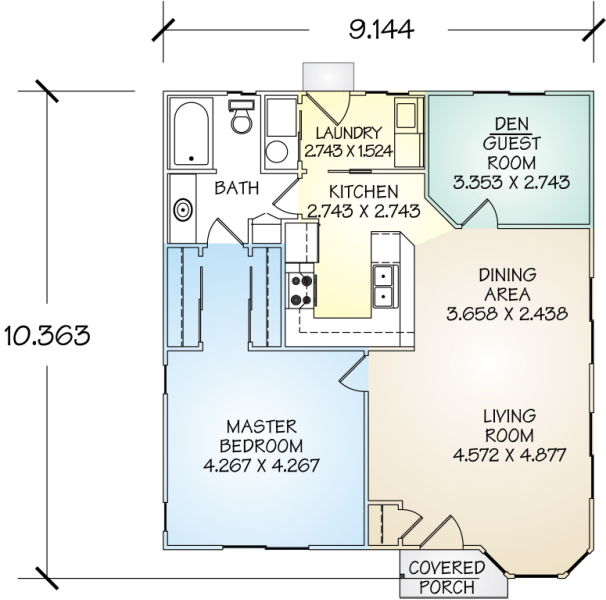 The den can be easily converted into a second bedroom, while space for a closet can be taken from the large laundry room or an armoire can be used. 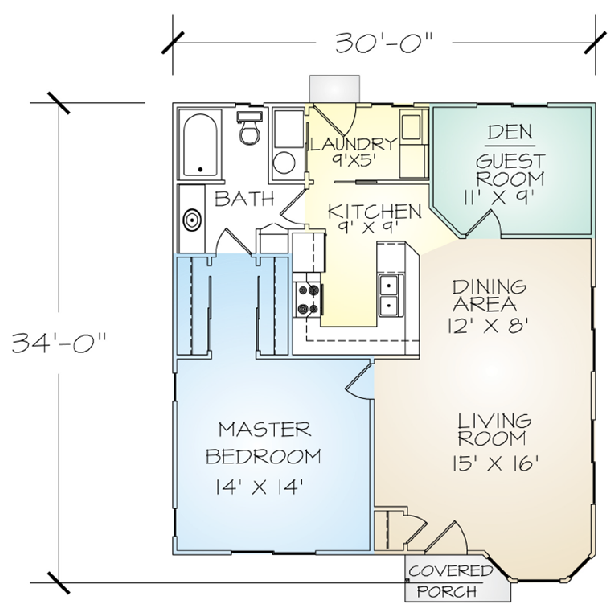 This plan also features a large kitchen and compartmentalized bathroom.